In western Peloponnese, in the beautiful valley of the Alpheios river, lies the most celebrated sanctuary of ancient Greece. 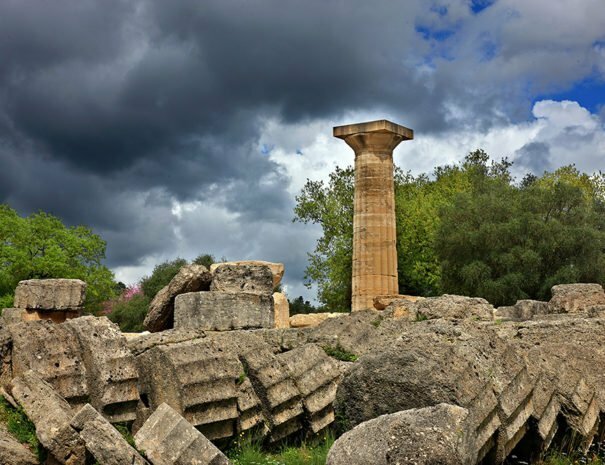 Dedicated to Zeus, the father of the gods, it sprawls over green landscape. 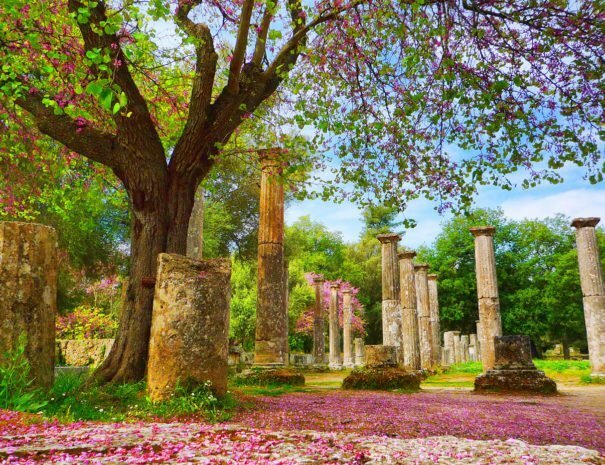 Although secluded near the west coast of the Peloponnese, Olympia became the most important religious and athletic center in Greece. Its fame rests upon the Olympic Games, the greatest national festival and a highly prestigious one world-wide, which was held every four years to honour Zeus. 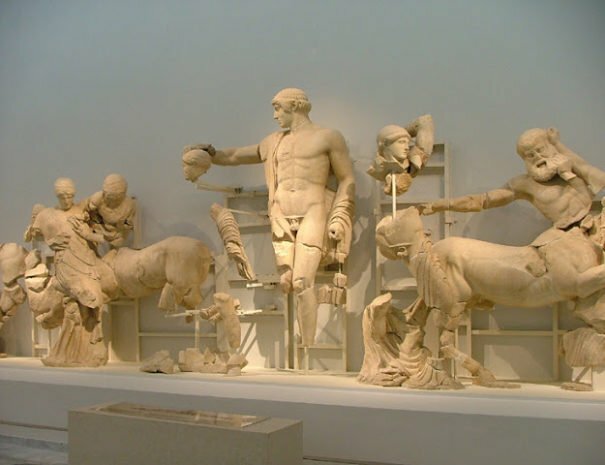 The archaeological site of Olympia is one of the most important archaeological sites in the world and has the most comprehensive set of sporting facilities and religious buildings of the ancient world. 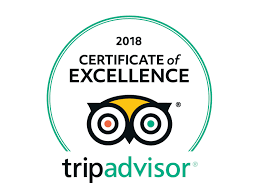 There is the Temple of Jupiter (the biggest temple in the Peloponnese), the Philippieion, the Temple of Hera, the Stadium, the Palestra, and many other attractions that visitors can admire. 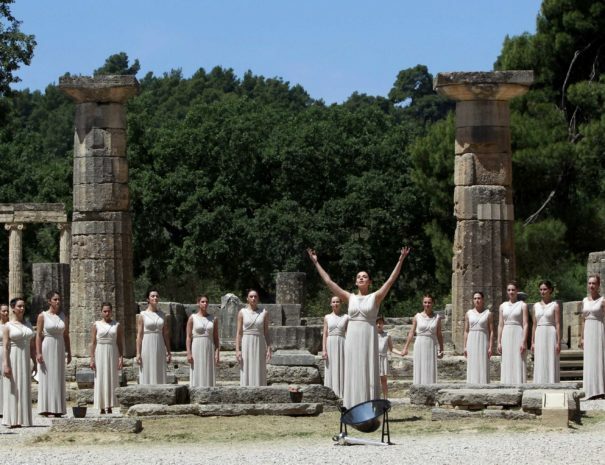 Today, it remains a sacred archaeological site with worldwide acknowledgement, and continues to give mankind the Olympic flame and the message of sportsmanship and world peace. 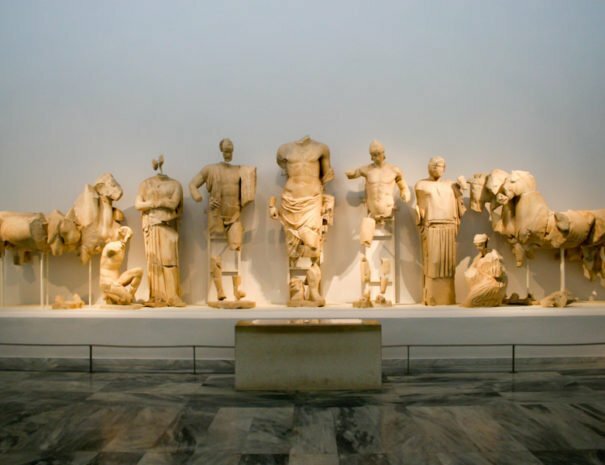 The Archaeological Museum of Olympia, one of the most important museums in Greece, presents the long history of the most celebrated sanctuary of antiquity, the sanctuary of Zeus. The museum’s permanent exhibition contains findings from the excavations in the sacred precinct of the Altis dating from prehistoric times to the Early Christian period. 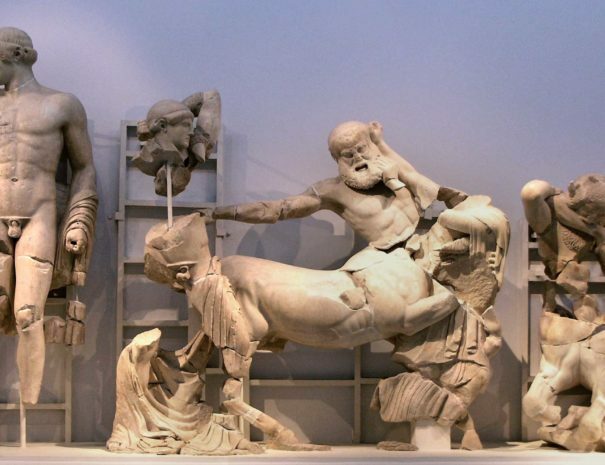 Important findings such as sculptures from the Temple of Zeus, the Nike of Paeonius, Hermes of Praxiteles and many bronzes are also displayed there. To approach Ancient Olympia we need 1 hour and 30 min. After our visit we will find time to buy souvenirs and to make a stop for dinner next to the monument. The whole excursion lasts 8 hours. Come and compete in a running race your friends and family in the first stadium was ever built, living a unique experience in the holy land of ancient civilization.